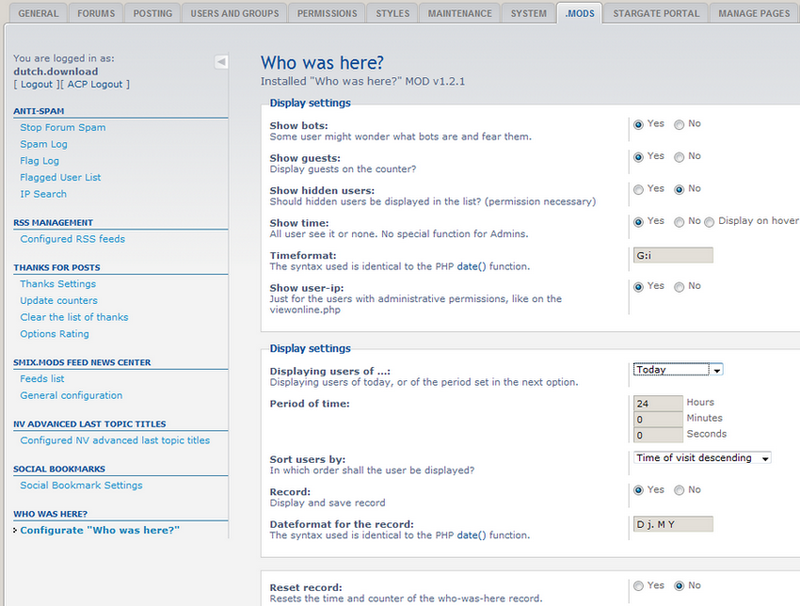 I would to like to announce that Who was here v1.2.1 has been installed on our phpBB3. With this MOD you can display the title of the last post or topic on the forumlist. You should test with 'prosilver' and 'subsilver2' first. If you need any help, please post here. Just go ACP > .MOD to install that mod. You can set options for it. With the admin permission, you can view all IP of users list at "Who were here" mod. We'll discuss about it more. How can you get rid of it once installed? You need to access /install_mods/install_wwh.php on your forum and choose "Uninstall" option. Just access /install_mods/install_wwh.php on your forum and choose "Uninstall" option. I set all like you show on picture but on my forum do not show visitors or guests?